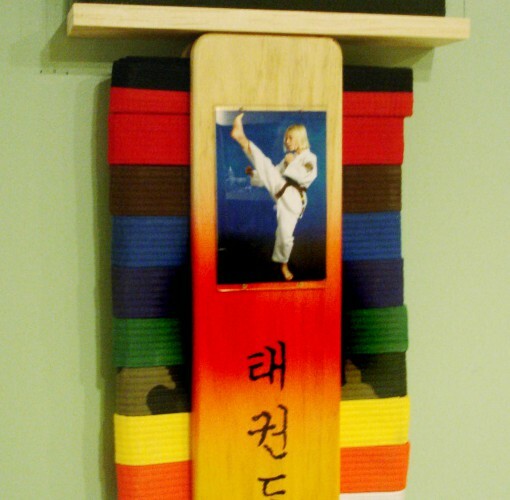 With this belt rack you can display a 4″x6″ photo under a piece of plexiglas. 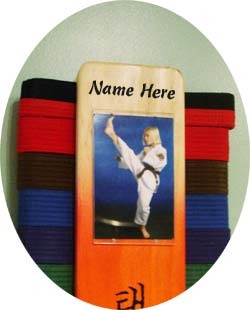 The photo can be easily changed or updated with more current photos when you get them. 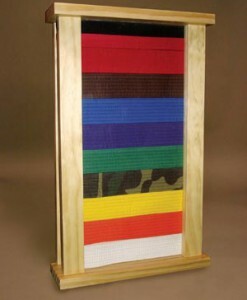 It holds up to ten belts. 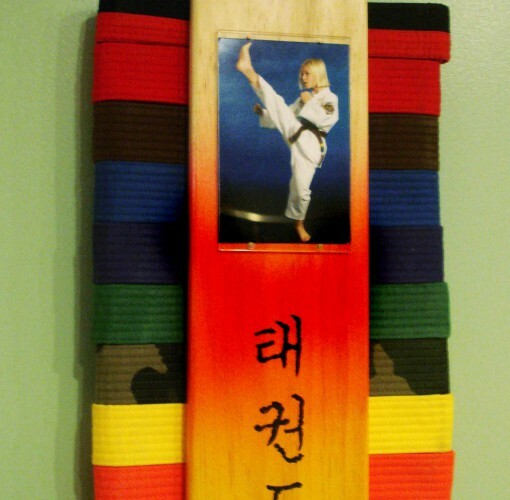 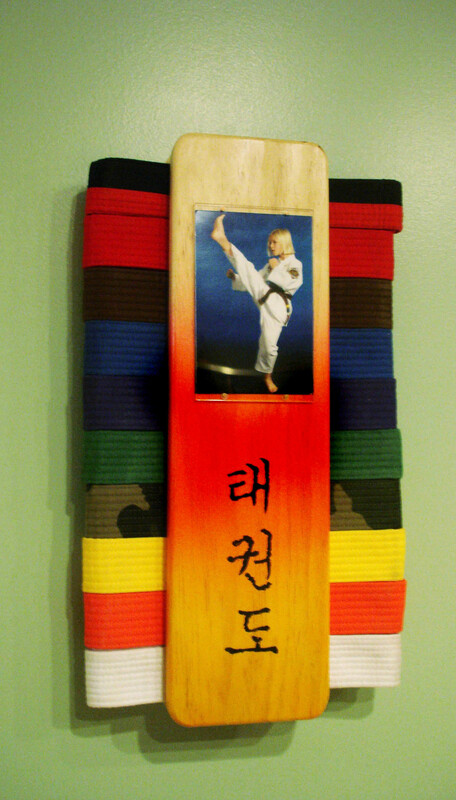 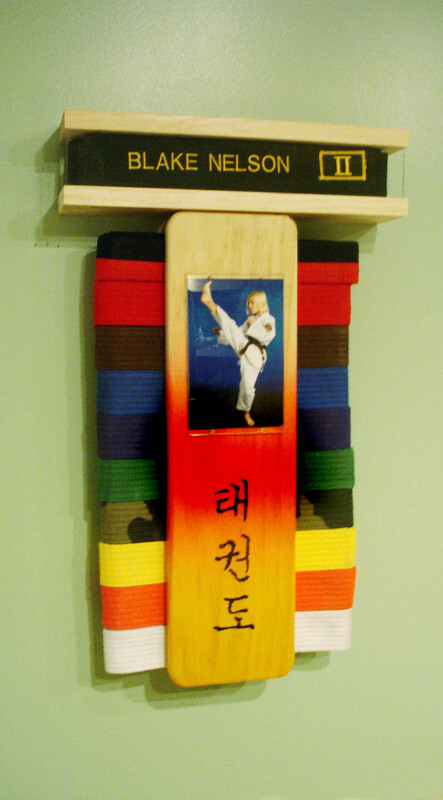 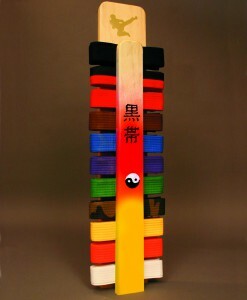 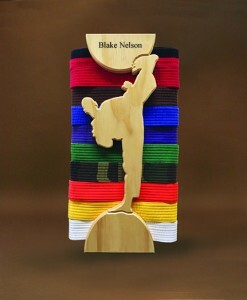 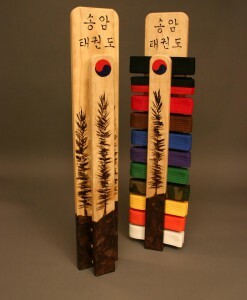 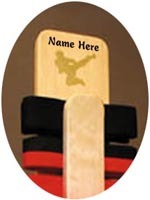 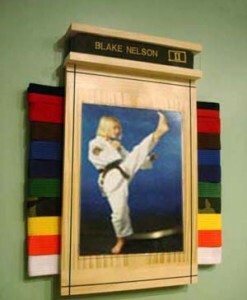 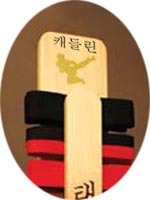 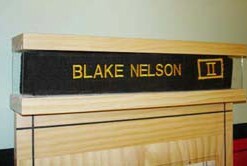 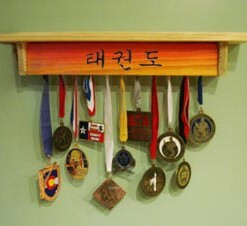 A black belt can be displayed with an optional Black Belt Box for $12 as shown below left. 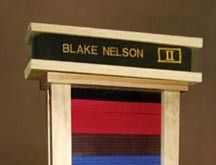 SKU: 130. 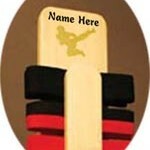 Categories: Featured Products, Martial Arts Products.